For many years, Negril has been one of top travel destinations in the Caribbean. While the northern end of Negril's world famous seven mile beach is dominated with large all incluisive resorts, the southern end of this incredible beach is spotted with smaller, more cozy and inviting villas and hotels. 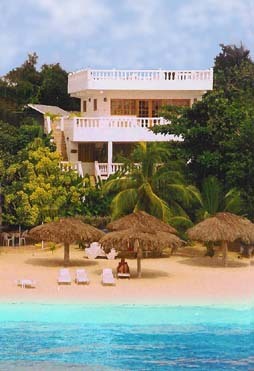 This combination offers great variety of accomodations for visitors to Negril. Some visitors may choose to purchase all-inclusive packages that provide airfare, transportation, food, and drinks in an attempt to save money on their Negril vacation. However much of the fun and adventure of true Jamaican culture is lost during these types of pre-packaged Jamaican vacations. When visitors choose to stay in a Negril Villa, you'll have access to watersports, restaurants, bars, shopping and many other activities that resort operators discourage their guests from doing. Negril's warm and calm waters offer easy access to great snorkeling and diving, with points reaching more than 40 feet high where people regularly jump from the cliffs into the turquoise water below. Despite the number of Jamaican villas and hotels on Negril beach, negril is still not a heavily developed area and retains it's natural charm. Negril beach has recently become a very popular destination for college students on spring break. 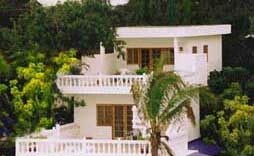 The large number of inexpensive jamaica villas and hotels have helped encourage this yearly migration of young people to Jamaica's shores. Every year more and more couples choose to exchange their wedding vows in front of the backdrop of Negril's spectacular sunsets. Negril's position on the western tip of Jamaica allows Negril some of the world's most beautiful and colorful sunsets every evening of the year. You'd be hard pressed to find a more romantic spot in which to wed your loved one. Whatever the reason, increasing numbers of visitors from all over the globe are finding fun and adventure in Jamaica's most beautiful of places....Negril.